This is an edited version of a column that appears in the August issue of The Business Monthly serving Howard and Anne Arundel counties. Maryland has never had a strong movement to put “none of the above” on election ballots, but perhaps the nominations of Hillary Clinton and Donald Trump could change that. Only one state, Nevada, has “none of these candidates” as a non-binding option on the ballot, though a judge recently struck down this 40-year old law. California voters rejected a proposition creating “none of the above” as an election choice in 2000. Countries giving voters the option of “none of the above” include India, Greece, Ukraine, Spain and Colombia. Russia had it briefly until 2006; Pakistan also had it one year. The United States is highly unlikely to follow these examples. It also seems unlikely “none of the above” would improve our already excessively complicated presidential election. 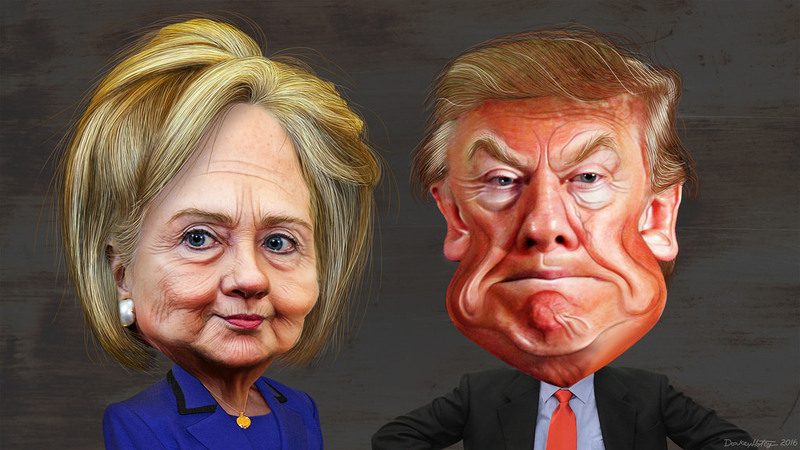 What’s a voter dissatisfied with Clinton or Trump to do? Obviously, you can simply not vote in the presidential contest. More than 800,000 Marylanders over 18 have not even bothered to register to vote and so are already blanking those choices. You could also write in the name of one of the 18 candidates for president from all over the country who have registered with the Maryland State Board of Elections. Why 18 people would do this simply so votes for them could be could be counted is bewildering. The state already reports write-in votes for candidates who haven’t registered. For instance, in 2012, Santa Claus got the largest tally with 625 write-in votes; Roseanne Barr got only 64. In the next remake of “Miracle on 34th Street,” might these official tallies be used to prove the existence of Santa Claus? The third option is to vote for the two candidates from two other parties that Maryland recognizes and will actually appear on the ballot. That is Libertarian Party’s Gary Johnson, the former governor of New Mexico, and the Green Party’s Jill Stein, a Massachusetts doctor. Both ran as their parties nominees in 2012. Johnson got 30,000 votes (1.1%) in Maryland and Stein got 17,000 (.6%). The Libertarian Party as the name implies favors limited government, less regulation and lower taxes. Some Republicans consider themselves part of the libertarian wing of their own party. Both Johnson and his running mate Bill Weld, the former governor of Massachusetts, were two-term Republican chief executives. The Libertarian Party and its candidates favor less foreign military action, such as in Iraq and Afghanistan, and few restrictions on personal freedoms that do not injure other persons. That’s where their views diverge significantly from mainstream Republicanism. Of the Republicans who ran for president in this cycle, Sen. Rand Paul came closest to libertarian views. His father, former Texas Congressman Ron Paul, was the Libertarian Party candidate for president in 1988, but got only 6,700 votes in Maryland at that time. UPDATED The Libertarian Party has been on the ballot in all 50 states in past years, and party officials expect it again this year. In Maryland, it probably doesn’t matter if someone doesn’t vote for Hillary. Because of her strong support among minorities — Maryland is now about 48% minority — she will likely win a state that hasn’t gone Republican since 1988. Barack Obama got 62% of Maryland’s vote in 2012, the 4th highest in the nation. Bernie Sanders’ home state of Vermont was highest at 66%, followed by New York and Rhode Island. But Democrats are worried about other states where margins are much closer, such as Florida. There in 2000, Ralph Nader of the Green Party took enough votes from Democrat Al Gore that he lost the electoral college and the entire election to George W. Bush. Both parties want to frame this election as a moral choice. If you don’t vote for Trump, it’s a vote for Clinton, Republican stalwarts say; if you don’t vote for Hillary, it’s a vote for Trump, say committed Dems. But the lesser of two evils is still evil, and that’s what some Sanders voters seem to be saying.